After college, I joined Rocky Brands as a Front-End Web Developer / Digital Marketing Specialist. Specifically with work pertaining to Lehigh Outfitters, Lehigh Safety Shoes, SlipGrips, and CustomFit. This page explains what I helped with and have learned and accomplished from my time. In the age of information in the ecommerce world, we're tasked with capturing and curating thoughtful data in order to make better business decisions. We can achieve this with powerful insight and efficient processes. 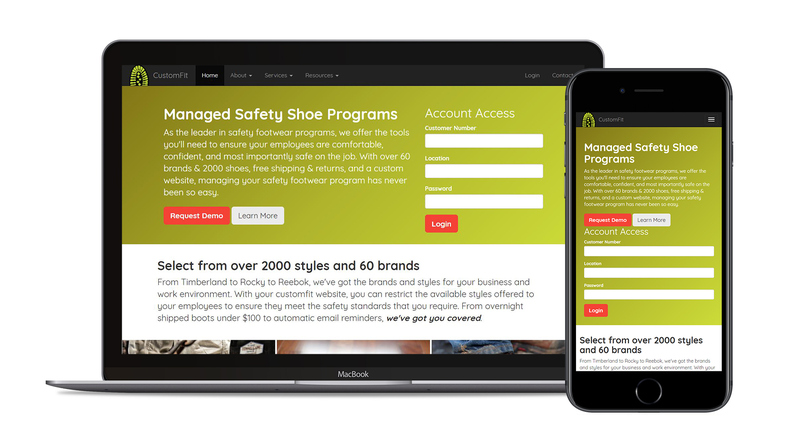 The two years I worked at Rocky were considered a shoe industry downturn, but we were able to show substantial improvements with our ecommerce and email marketing efforts. During my first year with Rocky (the brands listed above), I've helped increase their email lists significantly (many times over) and email marketing revenue by roughly 200% year over year through automated email programs, defined campaigns and promotions, and a focus on improving the quantity (by sending approximately 2 custom emails per week, per brand, with the help of Foundation's command line interface tool) and quality of the overall program. With a relatively small team, I was responsible for helping plan, setup, create, execute, and reflect on the email programs. While there are many variables that determine the effectiveness of such a broad business (industry performance, competitive pricing, and internal business decisions to name a few), our websites had seen improvements year-over-year even with the poor industry performance. The websites saw an increase in both conversion rates and revenue compared to the previous year. I contributed to these advancements through improved web experiences, optimal lead generation, and effective design. Along with active digital marketing, the web platforms require frequent updates as well as less frequent design influences and structural changes. Creating these updates helped promote the growth and interest in the properties. CustomFit is a very important part of the company's business. I placed a precedence on recreating this website to improve the current user experience, new business prospects, and to bring it into the modern age (while respecting browser support). The previous version of this site appeared to not have changed structurally / visually in many years and it was well over due. Each of these brands were not quite at the financial magnitude of CustomFit, but have seen similar and more frequent facelifts to the home pages, unique to their audiences and platform in a more systematic way to work as efficiently as possible. 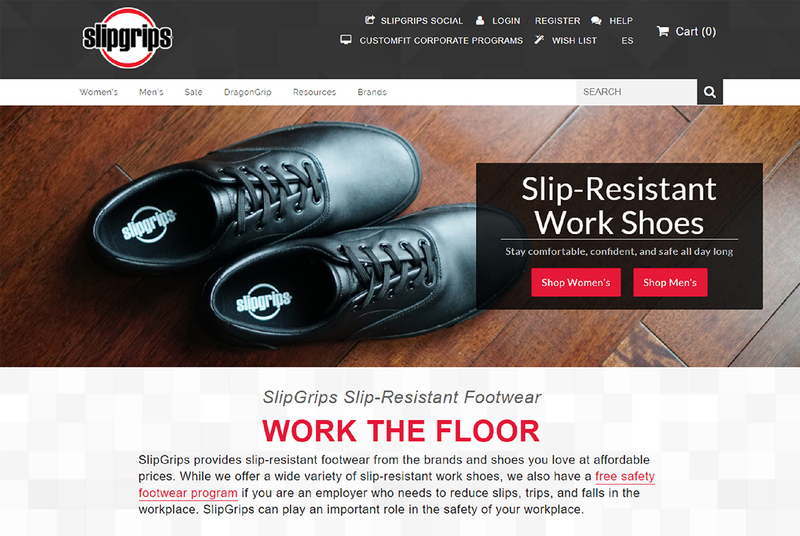 They each played an important role in the company's core safety shoe business model and had seen updates to improve their overall performance. SlipGrips is the youngest of the brands and it offered an interesting perspective on creating and growing its current small audience and brand into something potentially much larger. Due to its current business stage, I helped grow traffic to the site through search engine marketing with pay-per-click advertisements (Google Adwords) alongside the organic search. Also in an effort to grow this young brand, I helped create a simple motion graphic video that is used to showcase the new products at tradeshows. SlipGrips has still got a ways to go, but the potential for growth is great! Along with active digital marketing, the web platforms required frequent updates as well as less frequent design influences and structural changes. However, there hadn't been much standardization set for the teams of people who touch the websites and related properties to follow, which can lead to chaos. I worked with the other Front End Developers and Brand Managers to create and curate a cohesive style guide in an effort to create consistency, ADA compliance, and mitigate design confusion. This was a vital document for current and future developers or others working with the company's digital resources. When working with other developers, designers, and marketers, it's important to set logical standards which increase efficiency and, therefore, productivity. While certain elements like compliance or even documentation itself may initially seem like overkill, it will increase the bottom line and overall performance in the long run.